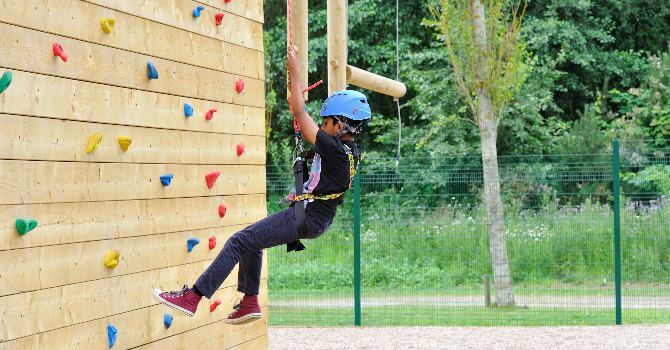 Located in 120 acres of woodland with ponds and lakes, classroom facilities and interactive exhibits, Conkers offers an excellent environment for learning and has been awarded the LOTC (Learning Outside the Classroom) Quality Badge. 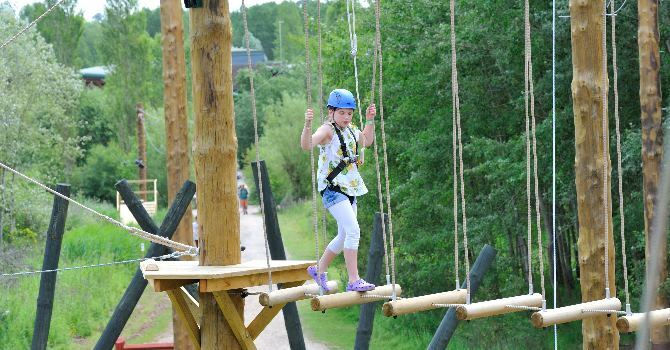 Education at CONKERS is based around highly interactive indoor and outdoor experiences, offering a unique mix of Ranger-led and Teacher-led activities, designed to cover the requirements of Key Stages 1 to 3. These are designed to closely support the National Curriculum and in particular the QCA Schemes of work. Programmes are available for Primary and Secondary groups supporting the following subjects: science, geography, mathematics, literacy, physical education, art, design and technology. All activities are covered by a risk assessment. Here at Conkers we offer a choice of 18 one-hour Ranger led Activities costing either £36.00 or £48.00 for up to 35 children per group. Details of these can be found on the KS1, KS2, KS3 pages. Conkers can assist your visit planning by offering free pre-visits for teachers and group leaders to help you choose the most appropriate Ranger led activities and Teacher led Education Worksheets to suit the needs of the group (please telephone in advance to arrange a suitable date). YOU choose the Ranger led activities and we will organise your day’s schedule for you. 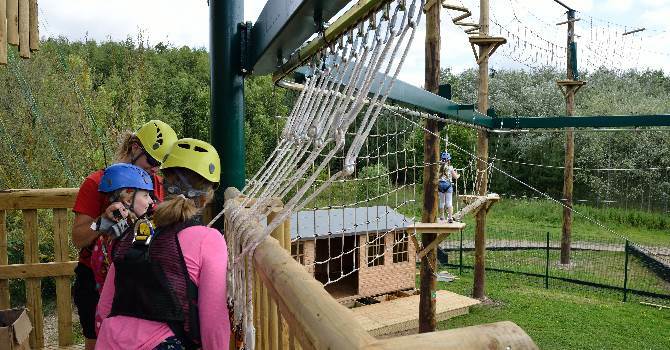 In addition to your chosen activity / activities, we will schedule train transfers between the two sites, time at the Adventure Playground, time to eat Lunch, time to explore both the indoor exhibits and outdoor trails and time to visit the Conkers Shop! 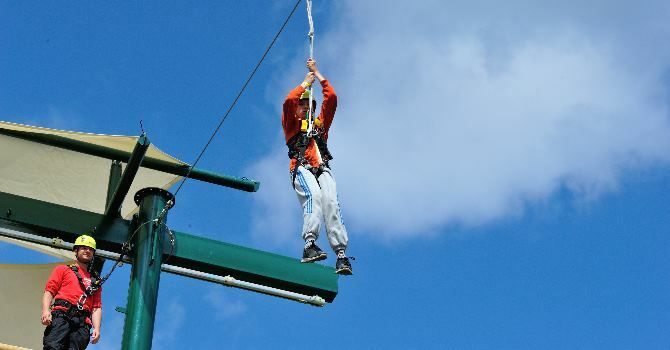 Conkers also offers Team Building and Outdoor Pursuits and Adventure Days. Details and pricing for these can be found on the relevant pages. Working in collaboration with the Yeo Theatre Company, the Heritage Education Theme Days provide a fabulous opportunity for our KS2 visitors to enjoy a full day of workshops discovering how people lived in Britain in times gone by. Workshop details and pricing for these can be found on the relevant pages, early booking recommended! Come and enjoy a day of exploration at Conkers. Making your way around the Indoor Interactive Exhibits, enjoy some playtime in the Enchanted Forest and discover the thrills of the Treetop Walk. Outside we have lots to discover; experience the amazing Barefoot Walk, take a view across Conkers from our Viewing Tower or search for the Gingerbread House located in the middle of our Aeromaze! If you love Fairies, take the time to explore the Fairy Labyrinth followed by a gentle stroll through our Sensory Walk. For the Gruffalo fans amongst you, why not take a journey through our Deep Dark Forest! Finally our little visitors can spend some time at the Maybury Twisty Towers play area. Take a trip on the Conkerchoo train to visit our Waterside site, here you will find mature woodland walks, our Amphitheatre and our Adventure Playground. For those of you that enjoy a physical challenge, why not attempt our 18 piece Assault Course (13yrs+). We now have a 4D Cinema at CONKERS which can be pre-booked at no additional cost to you. These bookings are available to both self-led and scheduled education group visitors and are allocated on a first come first served basis due to limited places. Take a peek at the 4D Cinema. Should you wish to pre-book the 20 minute cinema viewing, this should be noted on your final booking for (Term-time only). Bookings for EYFS / Year 1 are subject to a pre-visit. 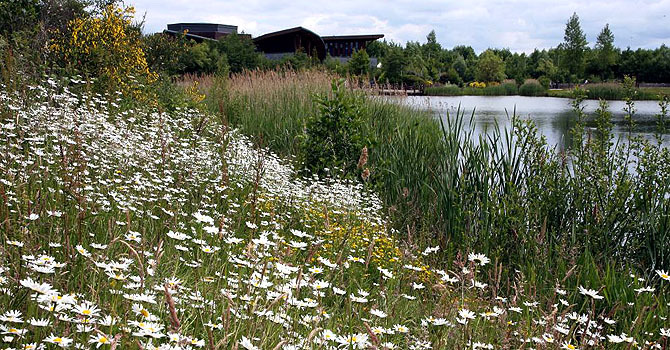 Disabled access - Both Discovery and Waterside sites offer full disabled access - including toilets, restaurants and the shop. Outdoors the train and a good proportion of the trails are wheelchair friendly. Lunch Facilities - There are covered areas available at both sites where children can sit and eat with their friends, plus plenty of outdoor space when the weather is nice! There are two restaurants at Conkers should your group be purchasing lunch or refreshments. Children’s ‘Boxed Lunches’ are available from £3.95 each. Dolly tubs are provided to store lunch boxes while groups undertake Ranger led activities. Our final booking form also includes discounted offers on the Conkers Souvenir Packs at £3.00 each and Ice lollies at 80p each should you wish to treat your group while they are here. (Minimum group booking of 10 children).